The Easter Saturday event was a brilliant example of community assets in motion. The church hall filled with local people some organising cooking and organising and many having fun chatting to friends and relatives neighbours and new faces (like me). I was there in my role as Chairperson of North United Communities staffing the stall that IRISS had provided with the aim of capturing what people liked about their area and themselves. Tellingly the biggest challenge for most folk was saying something good about themselves. For me the experience was fantastic so many great people finding time to spend together mothers and fathers helping their kids showing patience and providing encouragement. 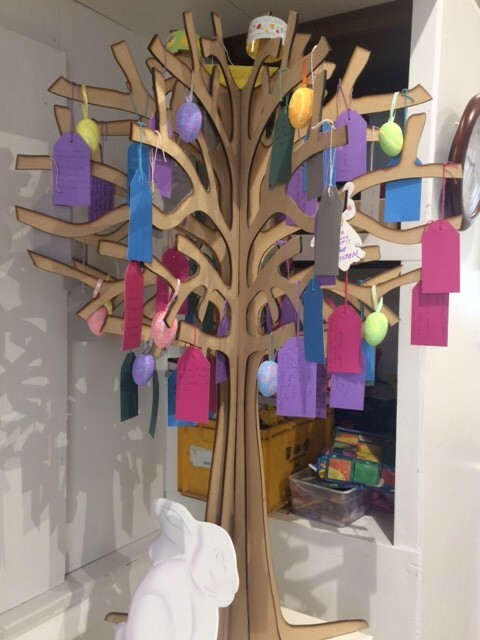 The best way to give you a sense of the day – apart from a picture of me wearing bunny ears (which I do every Easter) – is to let you read the words that were hung on the listening tree. 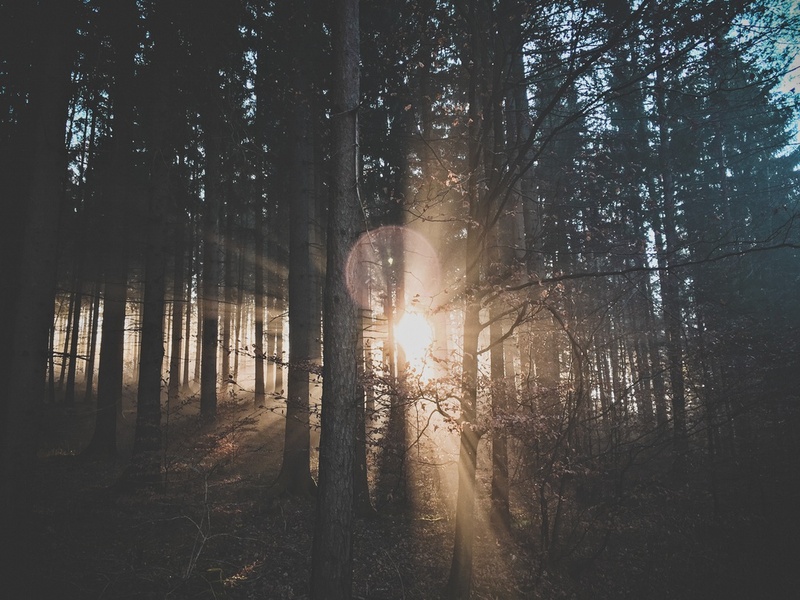 The day recharged my faith in the inherit goodness of people and reminded me how little people are asking for in their communities – security, warmth, food and hope for the future – they deserve all that and a lot more. 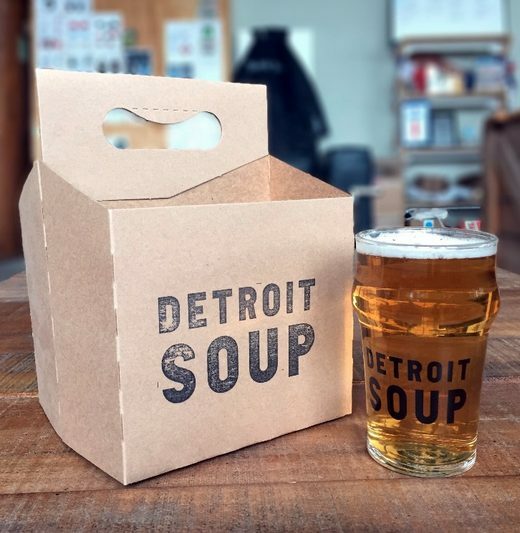 Detroit SOUP’s mission is to promote community-based development through crowdfunding, creativity, collaboration, democracy, trust and fun. With key partnerships and community leaders, the hope is to change the way people engage with the democratic process by establishing neighborhood relational hubs across the city. In their own words, “SOUP offers a space where people can connect. The rest is up to attendees, but wonderful things can happen when people come together, and SOUP stories are evidence of that”. “More information in this short film. As part of the Arts and Humanities Research Council-funded project entitled ‘Representing Communities: Developing the creative power of people to improve health and well-being’ – Barry ‘ The Red Bench’ explores the notion of outdoor spaces and the lack of seating in urbun areas. Taking Barry for walks around Dennistoun encouraged the local community to take a break and seat from their busy day and aimed to present the amazing characters of Dennistoun in an uplifting way. Link to the full details here. 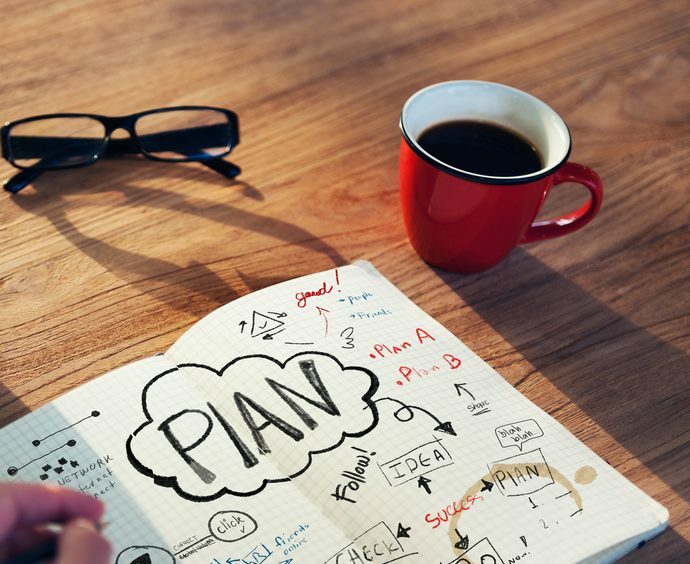 Shortly after the session, it was announced that there would be a stand-still budget from the council for the preceding three months, which was thought to give the whole group more time to organise itself, as well as a sense of relief! Following this, we agreed to go ahead and take forward the actions from the first session – to run two subsequent events – the first for organisations/representatives from the workforce, and the second a much broader public engagement event. 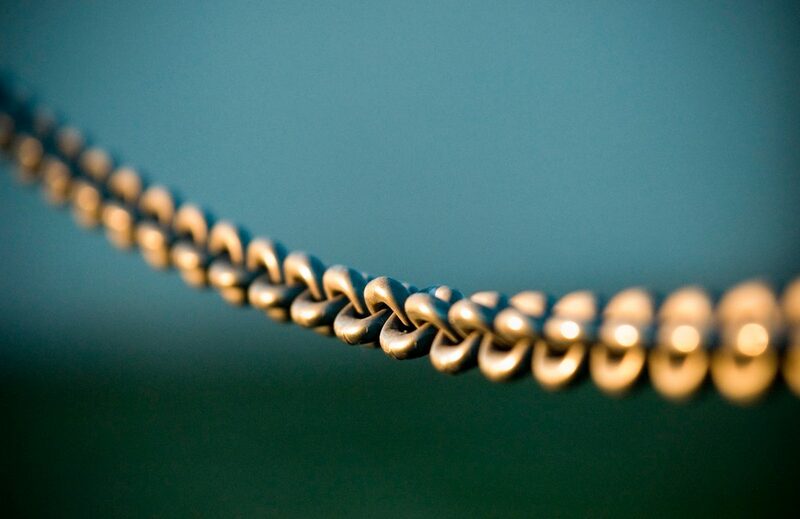 The rationale for this was that for transformative collaboration to manifest itself we recognise that trust has to be developed and fostered between agencies, as well as between the community and the agencies who are there to serve them, with each working alongside each other to improve outcomes and achieve change. We had the opportunity to discuss and agree this approach at a Connecting Milton Community Breakfast that took place in March. 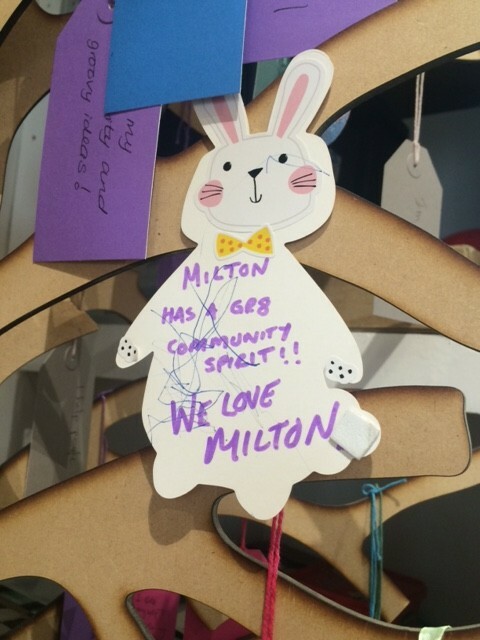 This was seen as a positive progression at Iriss, as the community breakfasts were established through the Animating Assets project, and which includes broad representation from a host of organisations engaging with the people of Milton (it also enables us to follow up with Love Milton, who had signed up, but who were unfortunately unable to attend the Stirling events). Check out the website and see Creative Commons shared book here. The Glasgow Centre for Population Health worked in partnership with the Scottish Community Development Centre to test asset based approaches to improving community health and wellbeing. 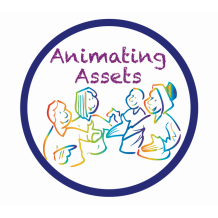 Animating Assets’ was a collaborative piece of action research. Action research involves researchers working alongside people for everyone to try out, develop and learn from different ways of doing things. There is a strong congruence between asset-based approaches and action research; action research is appreciative in that it recognises strengths and assets as a starting point for inquiry and builds and embeds resilience and capacity through the process of research itself. We are trying to incorporate the values of assets based approaches and action research into our project at Iriss. See the full report from their work here. The Big Idea had a web presence long before it was a project per se, which was a first for Iriss. We set up a blog to provide access to information about our idea as widely as possible, and at any time of day. We wanted to attract interest from far and wide, and outside of our usual reach of social service organisations, so we needed to be online. From this starting point we used all the routes of communication we knew to reach people: our mailing list, partnership organisations, the champions network, our host of social media accounts, and direct mailings to community councils and facilitators. 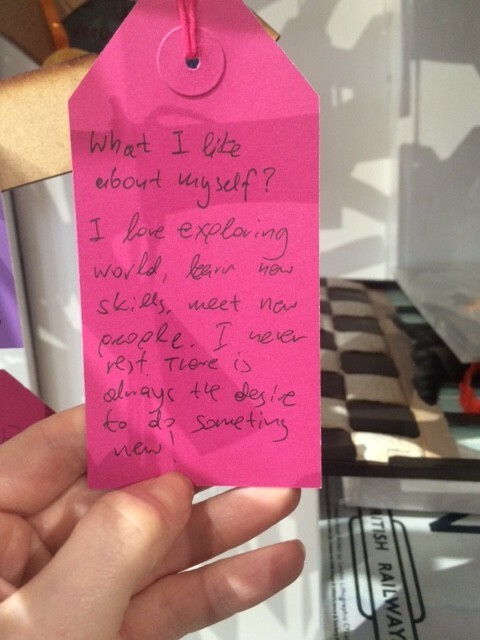 When we came to planning the two workshop events to kick off the project, we had a set of values that we wanted to adhere to because we felt it was important that we work in the way communities work best: with organic growth and at their own pace. We also wanted to give attendees the opportunity to experience not only what it is like to work collaboratively with us, but also what it might be like to work with each other – a mixture of friends, colleagues and strangers. Also central to our values was the spirit of exploration and curiosity. We wanted this to come through not only in the way that conversations were conducted in the room, but also in what messages and questions people could take from the event into their communities to further the conversation and explore local issues and the appetite for change. A continued wider conversation was imperative for the project to gain traction between the two workshops. 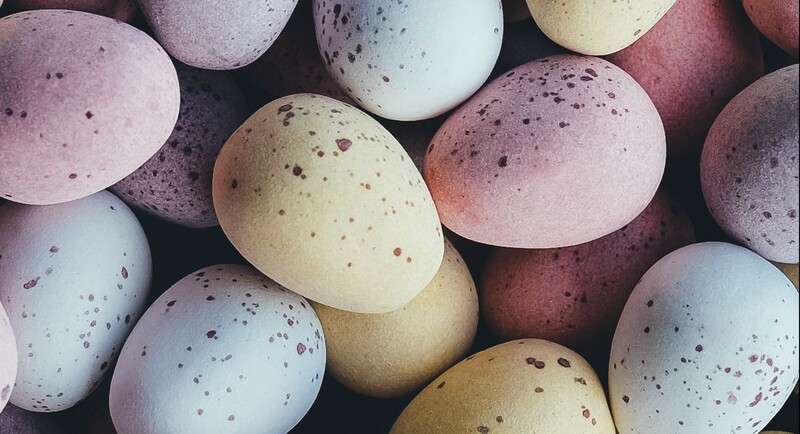 However, working together on explorative and evolving projects requires a dedication to openness which can make some people feel uncomfortable. Our approach was to build in the workshops elements of creativity, such as mug painting and asset mapping, for the attendees to become at ease with expressing themselves, their skills and knowledge. We wanted to level the conversation in the room so that each person could explore their vision for collaboration, while feeling understood and respected. Our vision was that attendees at the first session would recruit teams of community members (organisations and residents) that would join them in developing a plan for their community. We therefore ensured that people attending the first workshop could leave the session with information that they could pass on to people in their community who might be interested to join in the second session. For this purpose we asked attendees to write a letter to their community that they could use as a talking point, we distributed cards with link to the project initiation blog, and we kept the phone lines open so that anyone interested in hearing more, or discussing their own possible involvement could contact Iriss for a chat. We managed to create a lot of interest, and a great buzz in the room on both of the workshop days. The only drawbacks were people’s availability which is a permanent, but growing, issue in the sector. Taking a whole day out of one’s schedule to attend a speculative ‘ideas event’ can be difficult to justify for many. We continue to adapt our approaches to fit with what is possible for stakeholders to commit to. – It keeps us flexible and creative. It’s difficult, but it’s no bad thing.